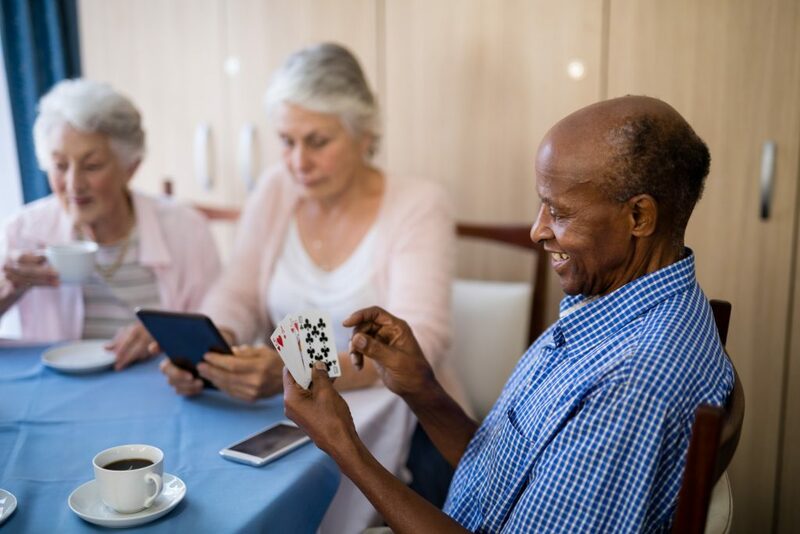 Assisted Living communities can be the perfect solution for older adults who are not able to manage living on their own, but do not yet require extensive medical care provided through skilled nursing. Our staff can provide 24-hour assistance with activities of daily living such as dressing, grooming, eating, mobility, and hygiene, offering a middle ground between independent living and skilled nursing care. Choose from a variety of spacious and inviting apartments designed for safety as well as function. Floor plans are designed to accommodate personal furniture and treasured keepsakes. Our assisted living communities offer pristine walking paths and covered porches. Courtyards provide the perfect venue for quiet relaxation, or enjoying time with family and friends. Eliza Jennings offers assisted living at Devon Oaks in Westlake, or at our Carol B. Hall Center located on the Renaissance Retirement Campus in Olmsted Township, Ohio.